Here’s something fun: More people than usual are going to owe additional money to the IRS because they aren’t withholding enough in the wake of the Trump tax bill! 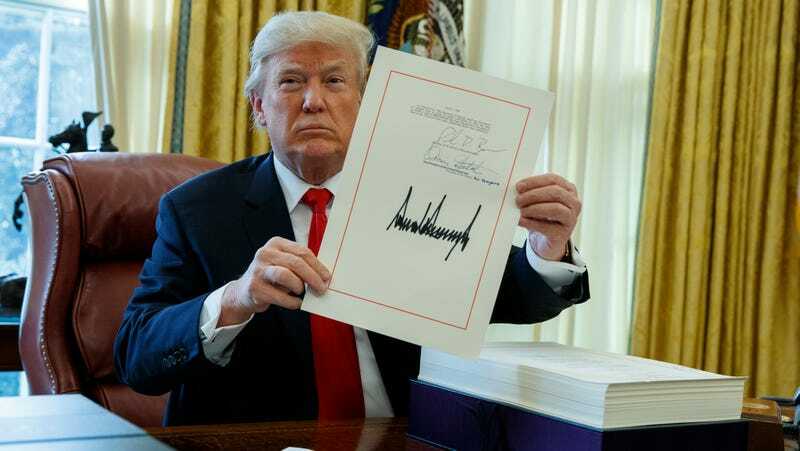 Based on simulations run by the Treasury Department, the GAO says taxes for 30 million Americans – 21 percent of taxpayers — are being under-withheld by their employers, meaning they are getting a larger check this year, but will owe at tax time in April. According to the simulations, 73 percent of taxpayers will be over-withheld and receive a refund from the Internal Revenue Service. Those who particularly might want to double-check: “a hypothetical taxpayer who is married with two children, earning $180,000 annually, $20,000 of which comes from non-wage income and who itemizes deductions.” But there’s no harm in taking a look even if you are absolutely not in that category. Better to catch anything now than the evening of April 13th.